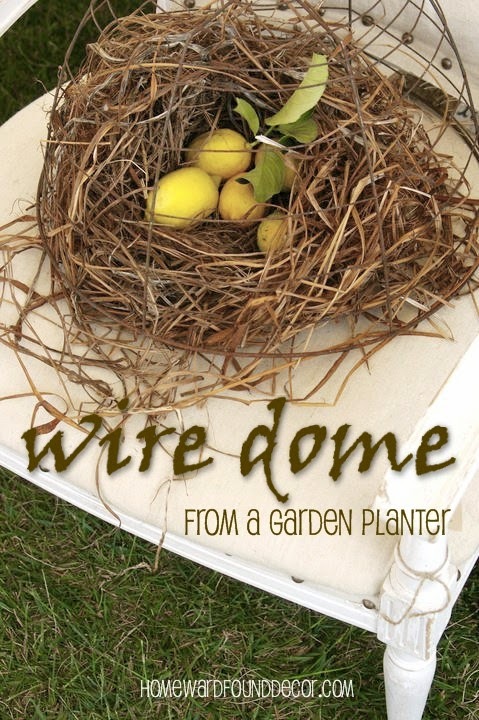 a dome made from a wire garden planter! 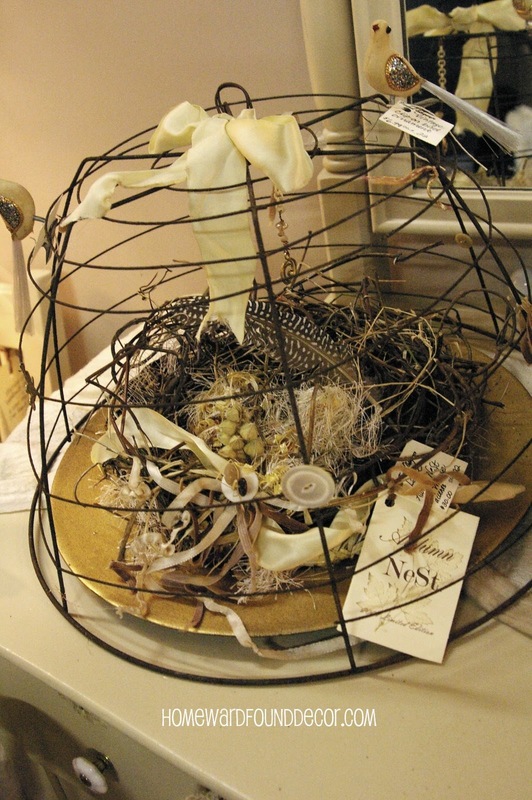 * over a nest with leaves tucked into it, resting on a wood round for autumn. * over a branch of evergreen with some vintage ornaments or pine cones for winter. 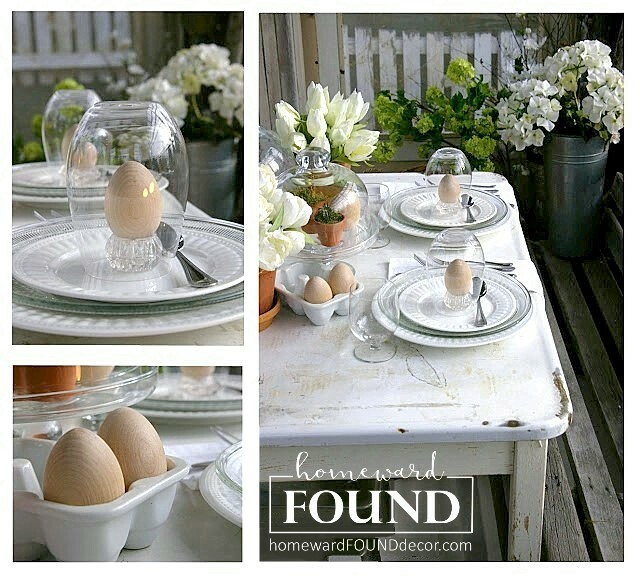 * over a nest with wood or stone eggs and tiny daffodils for spring. * over a white ironstone plate filled with shells from the seashore in summer. 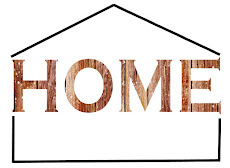 You aren't going to believe how easy this ONE STEP PROJECT is! ... and voila, you have a wire dome! and then attach it as a loop at the top of the planter as a handle, as I've done here. you just might find some nicely rusted ones like these! 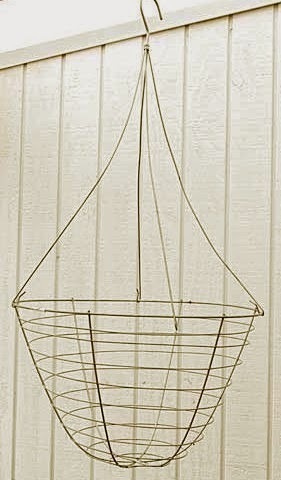 You can also make a wire dome from a tomato cage too! and I kept having to make them because they sold so fast! a little space that was a mere 2 feet deep and 8 feet wide in the back of the store. 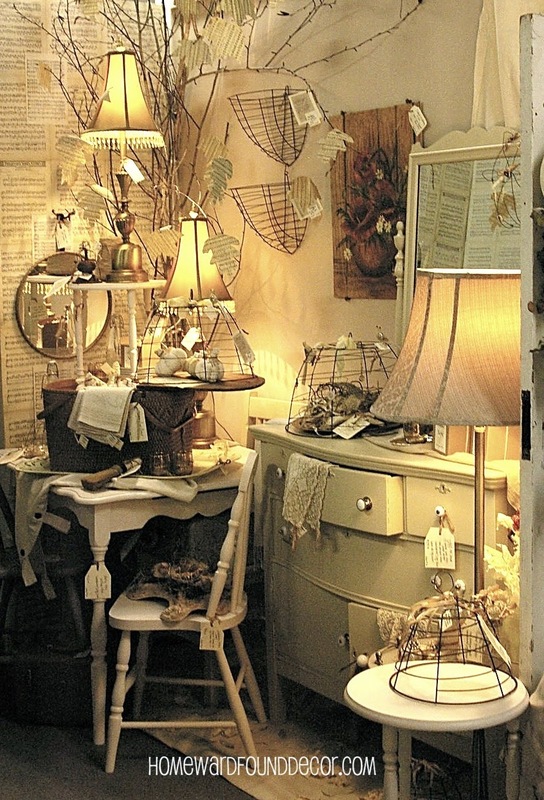 It was the first stop of many wonderful years as a vendor in the vintage world. 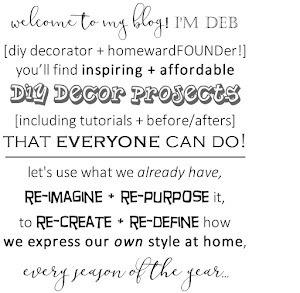 just as I do here at homewardFOUND decor.